Cursillo celebrated 30 years in New Zealand in 2018. It was gifted to the Anglican Diocese of Wellington in 1988 by the Diocese of Brisbane, Australia. Cursillo in New Zealand is part of a world-wide Movement of the wider Christian Church which aims to “Change the Environments” through Christians who are committed to living and spreading the Gospel. Today, this local Discipleship Movement within the Anglican Church offers a method by which our relationship with Jesus may be developed, lived out with the support and encouragement of others, and used by God to change the world about us. The heart of Cursillo is a 3-day live-in event that presents a specific method for deepening and living out our Christian faith. 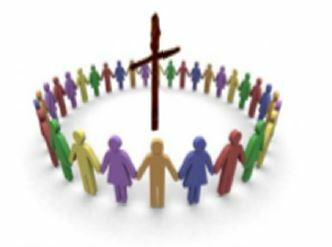 Cursillo also provides a strong follow-up and support network of both small groups and wider gatherings for mutual encouragement. In the Beginning… Anglican Cursillo in New Zealand – a history, written by Bishop Brian Carrell at the request of the Wellington Diocese Cursillo Secretariat to mark the 20th Birthday of Cursillo in New Zealand, September 2008. Short History of Cursillo – a short history of the Cursillo Movement, tracing its growth and development, including its arrival and spread in the Anglican Church in New Zealand. The History of Cursillo – a fuller history of the Cursillo Movement, from a New Zealand perspective. kahukura magazine, September 2016 – special edition marking 20 years of Cursillo in the Diocese of Christchurch. “Rainbow” Flier – What is Cursillo? – a flier introducing the Cursillo Movement. What is Cursillo? – an extremely brief outline of the aim and method of the Cursillo Movement, summarised from the National Episcopal Cursillo (NEC) library document of the same name. A guide to the practice of Christian Spiritual Direction – written for the information of Cursillistas in the Anglican Church, New Zealand. Cursillo Song Book – Cursillo NZ Song Book (in pdf format for use on mobile phones). This document is copyright and may only be used for Cursillo-related purposes. NOTE: The internal hyperlinks may not work with the default pdf viewer installed on some Android phones. We recommend you use the Adobe Acrobat Reader App. General Synod Report – Report of the Anglican Cursillo Movement in Aotearoa/New Zealand to General Synod Te Hīnota Whānui, 2018. If you are not receiving emails from Cursillo and you are on one of our mailing lists, please check your spam box or social promotions folder as some of the emails may be going into your spam box. If they are going into your spam box, if you are in gmail, you can click the box to the side and a pop up will appear asking you if you wish this to be moved to your ‘Primary’ folder. You can also set a filter so that if you have a folder set up that that it recognises the word ‘cursillo’ and if any emails come into your inbox with ‘cursillo’ it will automatically file these in your folder for you to be read.